Need some help or technical advice? 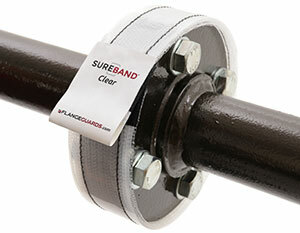 SUREBAND PDT (Pressure Diffusion Technology) uses a specially formulated multi-layered mesh that is held against the flange. The pressure is diffused in a controlled manor thus preventing formation of a mist / vapour cloud. 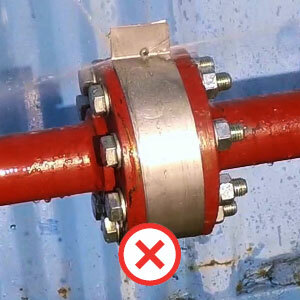 At the point of exit from the shield, the leak takes the form of a safe, vertical drip or stream. Our leak testing facility has proven that pressure diffusion is required to prevent spray and mist formation. However, many shield designs have no diffusion – and this can actually create a worse leak than no shield at all. 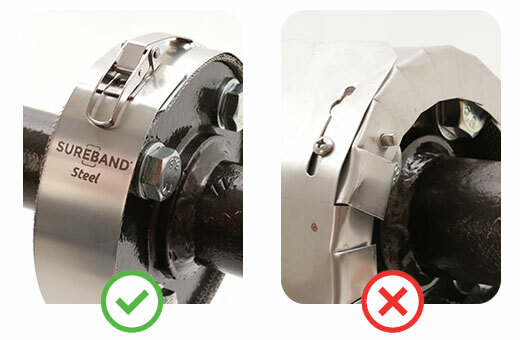 The Clear shield uses proprietry technical hook+loop connection (40kg lateral shear strength). The Steel shield uses a quick connection latch which locks into one of 4 specially designed louvre slots. 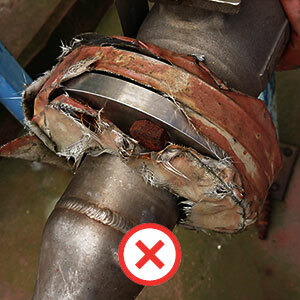 Installation time can often cost more than the shields themselves. SUREBAND is fitted within seconds (rather than minutes). This saves time and money, whilst maintaining maximum safety. 100% ETFE and ECTFE. 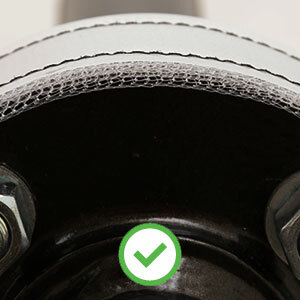 Conventional fabric shields are made from fibreglass coated with PTFE. Over time, with exposure to corrosive environments, the fibreglass is exposed and ultimately degrades. 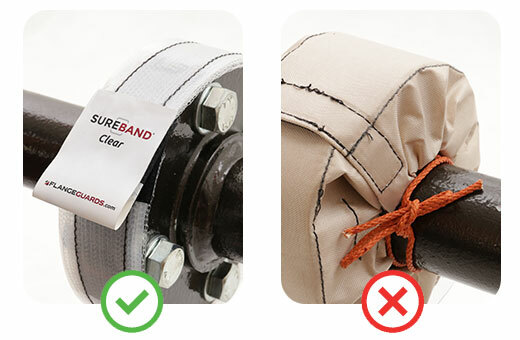 SUREBAND Clear contains no fibreglass, ensuring considerably longer life span. Typical applications include acid, caustic, fuel & lube oil. 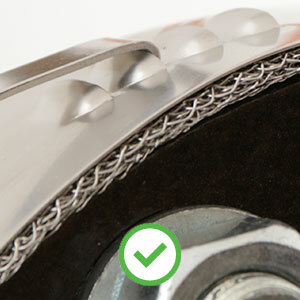 Comprising all-316 stainless steel outer band and inner, multi-layered mesh. 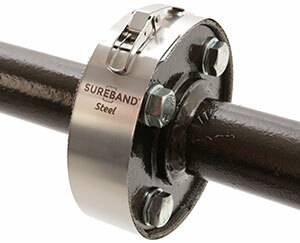 SUREBAND Steel works effectively at high pressure and wide temperature ranges. The quick-connection latch makes installation simple. Typical applications include oils (thermal, hydraulic, fuel, lubrication), steam & liquified gas.